Have a house plan drawn and ready to dig the dirt? Talk to Adam or Orel to order all building materials and have it delivered right to the job site directly. 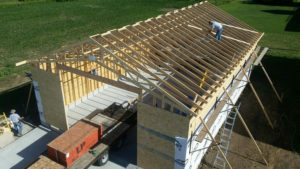 Mabel Lumber offers free delivery within 50 miles of Mabel, Minnesota, for residential and commercial orders. Did you decide your DIY job is too big to handle and some professional help is needed? We can help with that too! 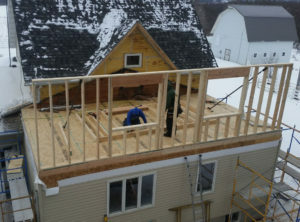 Check out our sister company, Tollefson Construction, LLC for all new build, remodel and other carpentry projects. RENTALS: If you attic is looking a little thin on insulation we have an insulation blower available with all insulation purchases. Order your insulation with Mabel Lumber and an enclosed trailer with the blower, insulation and accessories will be delivered to your home, ready for you to use! Call Adam for information on renting the insulation blower, lift or trailers at 507-459-5040.